A full field of sixteen will line up for the KNN Cup, the second leg of the Queens’ Tour series to decide the nation’s champion filly or mare at Busan on Sunday. Surprise Ttukseom Cup winner Cheongsu Yeogeol will aim to continue on her quest to emulate Silver Wolf’s achievement in sweeping all three legs of the series a year ago. June’s Ttukseom Cup left pundits and punters alike with red faces as long-shots swept the top seven places. Haeya, who chased home Silver Wolf in the Tour races last year, was sent off as odds-on favourite for the 7 f race but could only finish in 8th. She returns for another go here but as the distances get longer, generally Haeya’s chances diminish. Yet if this leg proves as unpredictable as the first, even she can’t be ruled out. Cheongsu Yeogeol, a three-year-old US import by Run Away And Hide, was sent off as a 15/1 chance in the Ttukseom Cup and won by a very handy three lengths having come from just off the pace. That day she was ridden by Moon Se Young but with the erstwhile Seoul champion on the long term injury list, Kim Yong Geun, a former Busan Champion Jockey now based in Seoul, takes the mount. Damyang Hwanho, a 70/1 chance and 40/1 Gold Blue got the closest to Cheongsu Yeogeol in the Ttukseom Cup to complete a 24,000/1 trifecta, and both return for another Gold Blue closed strongly and while she is inconsistent, may be more of a threat at a mile. 4th and 5th place-getters Rocket Queen and Shark Run will be present again too with Rocket Queen especially likely to be a danger under Lim Gi Won. Hello Venus, 6th in the Ttukseom Cup and one of few returnees from last year’s series, returned to form with a 2nd place in a class 2 contest at Busan in July and while she has drawn poorly, could pull off a surprise. Bright Star, who was 7th, has Busan’s current jockey Champion Jo In Kwen aboard and may go better on her home track. As for those who didn’t run in Seoul in June and join the Tour in the 2nd leg, Ice Marine put in a huge run to win over 7 f last month, second up from almost a year off while Ace Spinning, a winner of eight of her fourteen career starts makes her return here having last raced in September. She trialed well. Yeonghui Sidae had a hard time in the Korean Oaks but has plenty of talent while Uju Star is the sole representative of top trainer Kim Young Kwan and won’t be ignored either. 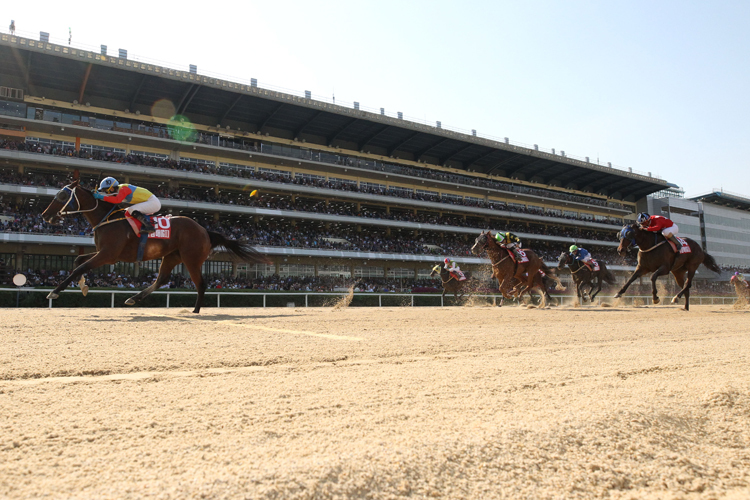 The KNN Cup is race 5 of a 6-race card at Busan on Sunday and is scheduled for 4.15pm local Korea time.